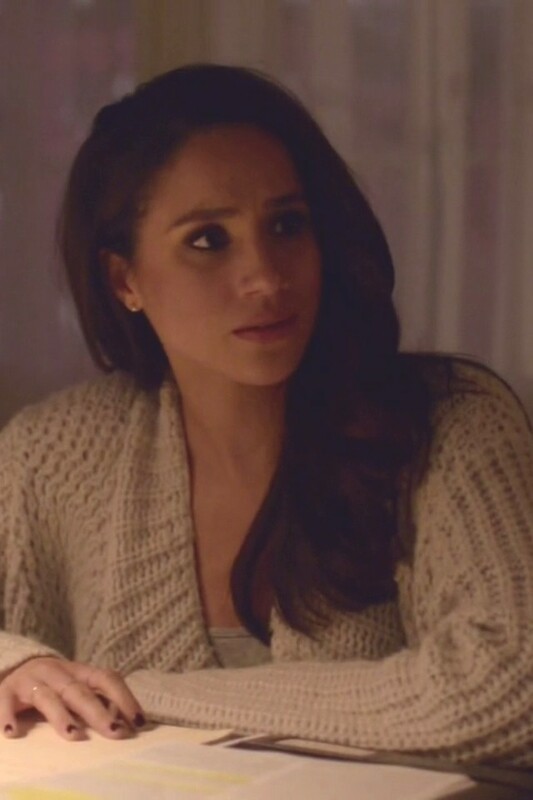 A perfect comfy draped cardigan as worn by Meghan Markle as Rachel Zane in Season 5, Episode 4 of Suits. A perfect comfy draped cardigan as worn by Meghan Markle as Rachel Zane in Season 5, Episode 4 of Suits. 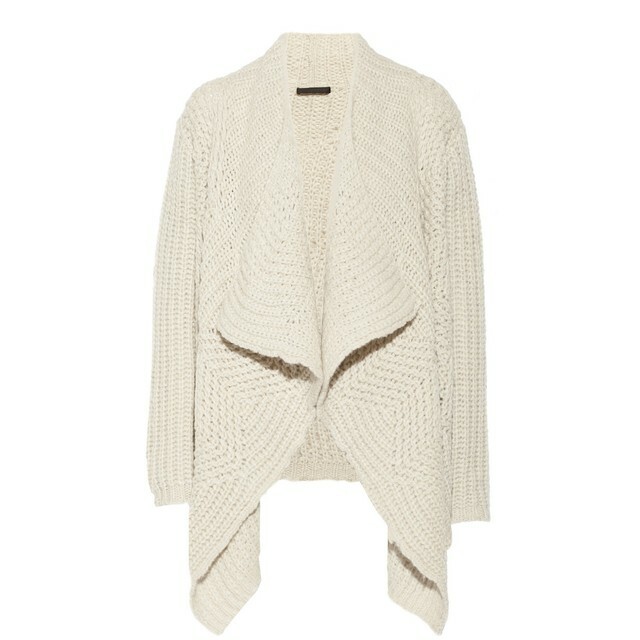 Donna Karan’s off-white cardigan is the perfect way to add volume to casual looks. This draped design is knitted from plush alpaca-blend with a shawl collar, a shorter back hem and an easy open front. Team yours with a turtleneck top and tonal accessories.